The Emerson Avenger: Do Unitarian Universalists And UUA Leaders aka Brave U*U Souls Dare To Compare Their *Real* 2014 UUA Membership Statistics With Other Liberal Denominations? Do Unitarian Universalists And UUA Leaders aka Brave U*U Souls Dare To Compare Their *Real* 2014 UUA Membership Statistics With Other Liberal Denominations? "Unitarian Universalism is growing in comparison to Liberal and Mainline Protestant traditions"
They come to this rather questionable CONCLUSION as a result of comparing the publicly available membership statistics of certain Liberal and Mainline Protestant traditions such as the United Church of Christ, the Episcopal Church, the Evangelical Lutheran Church of America, the United Methodist Church, and the Presbyterian Church USA. The chart that they produced is reproduced below. I expect that it will be used during the 2014 UUA GA in Providence Rhode Island to try to bambU*Uzle dim-witted U*U GA delegates into believing that Unitarian Universalism is somehow growing when it is doing no such thing. What this carefully contrived chart of membership statistics *really* shows is that Unitarian Universalism is not declining quite as rapidly as some of the other "more liberal" denominations in America, and even that conclusion may well be belied by the most recent UUA membership statistics that have yet to be made public by the UUA. This contrived chart and its CONCLUSION in NO way means that Unitarian Universalism is actually experiencing any real and tangible growth as these two self-interested UUA bureaucrats, whose Office of Growth Strategies is supposed to ensure the "strategic mobilization of resources, purpose, and partnerships to grow current and future Unitarian Universalist congregations and beyond", would like to have U*Us believe. There are several highly questionable aspects of the claims being made by UUA growth strategist Tandi Rogers, and the UUA's director of growth strategies Rev. Stefan Jonasson in this blog post. For example the chart claims to be presenting "reliable statistics" that "go from 1996-2012, a 16 year span" yet the chart only displays statistics up to 2009. If we use "reliable statistics" that actually do go to 2012, the picture is somewhat different, even if the misleading CONCLUSION remains the same. But why does this official UUA chart only provide "reliable statistics" that "go from 1996-2012" when the UUA, and its "less than honest" Office of Growth Strategies, have "reliable statistics" that are as up-to-date as the first quarter or even second quarter of 2014 at their disposal? Reliable statistics like the most recent Data Services data about Non-Certified Congregations by Region / District which shows that no less than 52 UUA congregations have NOT recertified their membership in the UUA. Reliable statistics like the most recent Data Services List of Congregations That Submitted Membership Numbers which shows that only 991 UUA congregations have actually recertified their membership in the UUA. Even if we deem that the 52 UUA congregations who have not yet re-certified their membership in the UUA, more than 4 months after the deadline to do so expired, are none-the-less still member congregations of the UUA, as the UUA apparently does, we are left with a UUA that currently has only 1043 congregations. This number is still higher than than the 2009 figures provided, but the question remains, does the UUA actually have more than the 991 UUA congregations that re-certified their membership this year, or is it possible, even probable, that many if not most of the 52 congregations that did not re-certify will not do so for one reason or another? 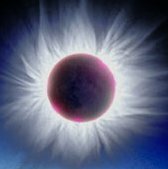 What are the current UUA adult membership numbers for 2014 for the 991 certified congregations and the 52 NOT-certified congregations? but even these figures seem to be last year's membership figures, rather than this year's membership figures, in that at the time the report was published in the UU World, the UUA would have had 1043 congregations at best. . .
Why is the UUA's office of Growth Strategies presenting a chart that shows UUA membership statistics that are no more recent than 2009, when it has "reliable statistics" for UUA membership that are half a decade more up-to-date at its disposal? 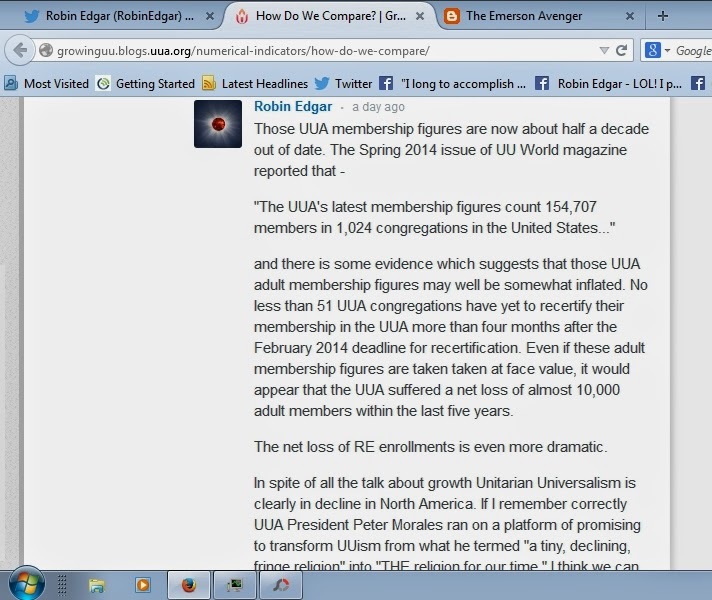 "The UUA's latest membership figures count 154,707 members in 1,024 congregations in the United States..."
and there is some evidence which suggests that those UUA adult membership figures may well be somewhat inflated. No less than 51 UUA congregations have yet to re-certify their membership in the UUA more than four months after the February 2014 deadline for re-certification. Even if these adult membership figures are taken taken at face value, it would appear that the UUA suffered a net loss of almost 10,000 adult members within the last five years. In spite of all the talk about growth Unitarian Universalism is clearly in decline in North America. If I remember correctly UUA President Peter Morales ran on a platform of promising to transform UUism from what he termed "a tiny, declining, fringe religion" into "THE religion for our time." I think we can safely say that 6 years into his de facto 8 year term as UUA President Peter Morales has FAILed miserably to deliver on that now quite evidently empty promise. Somewhat surprisingly the above comment has yet to be "memory holed" by the administrators of the UUA Office of Growth Strategies' 'Growing Unitarian Universalism' blog. It will be interesting to see if my comment survives into the beginning of next week, but I expect that it will be deleted by Monday if not earlier.